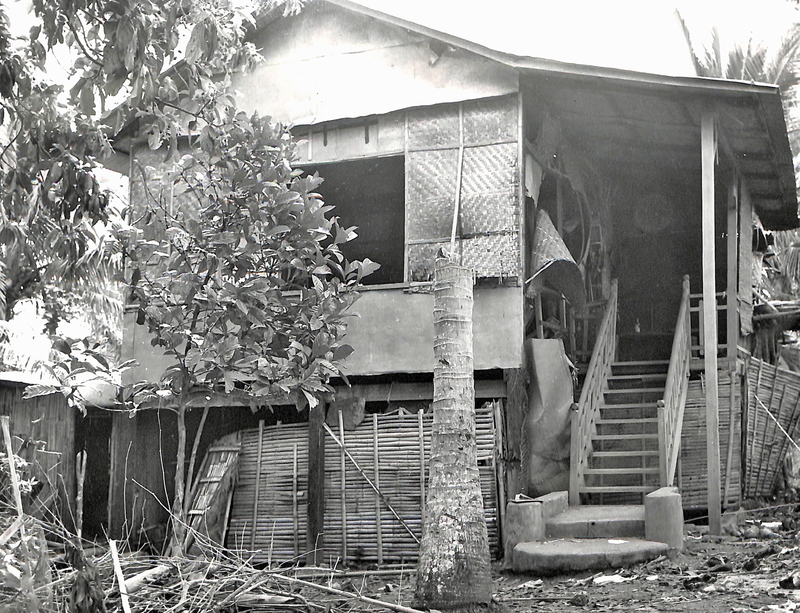 An eerily deserted house of victims of Japanese brutality in Lipa, Batangas in 1945. Image source: United States National Archive. Original Caption: A house where Filipino men and women were stripped of usable clothing and then with their hands tied behind their backs were bayoneted and shoved over the bank of a stream by the Japanese. Approximately 300 to 400 were thus treated in the group found in the area of Lipa, Batangas, Luzon, P.I. (for Philippine Islands). About 1,100 Filipinos were killed by the Japanese in Lipa. Source: United States National Archives.